Cord banking was a service developed in late 90's. Cord bank stores blood produced from umbilical cord which is obtained during child's birth. 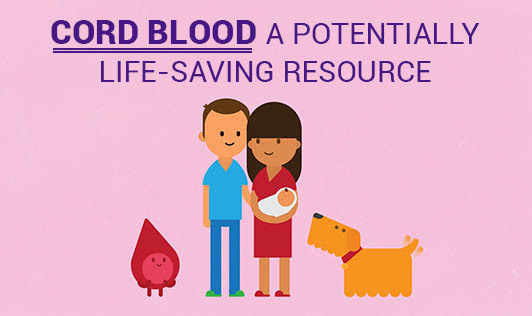 The primary necessity with banking is to ensure the safety of the cord blood. Cord blood contains hematopoietic stem cells, progenitor cells which can form red blood cells (RBC), white blood cells (WBC) and platelets. Cord blood cells are currently used to treat blood and immune system related to genetic diseases, cancer and blood disorders. Cord blood is extracted from the fetal end of the cord after lacerating the umbilical cord. It is usually done within 10 minutes of child's birth. An adequate cord blood collection requires at least 75 ml in order to ensure that there will be enough cells to be used for transplantation. Before the cord blood is stored for later use, it undergoes viral testing, including tests for HIV and Hepatitis B and C, and tissue typing (to determine HLA type). It will also be examined for nucleated cell count, cell viability, blood group antigen (ABO & Rh), molecule cluster (CD34), and bacterial & fungal growth. Good for Immune system:C ord blood which is extracted from Umbilical cord blood is rich in stem cells. Stem cells are the source for platelets and the oxygen-carrying red blood cells in our bloodstream. Stem cells also create the body's immune system, which combats against infections and protects the body from foreign matter. Saving cord blood for your family's future: Preserving a baby's umbilical cord blood is a lifetime gift that every parent aspires that his or her family will never have to use. This blood can be used when any of the family members have an emergency. Less risk of viral infections: Cord blood is less likely to transmit certain common viruses, like Epstein-Barr virus (EBV) and cytomegalovirus (CMV), potentially lethal infections for transplant recipients. Cord blood transplants do not require a perfect match. Many studies have shown that cord blood transplants can be performed in cases even if there is a partial match between the donor and the recipient.